Fine tune the perfect flavour of punch and movement. 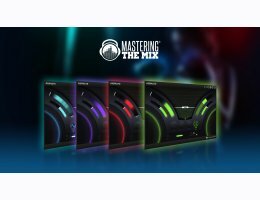 ANIMATE helps you inject life into your mixes in a precise, versatile and colourful way. With four different movement modes, each with individual frequency assignments and mid/side functionality you’ll get your music jumping out of the speakers precisely how you want. Expand mode allows you to dial in a pristine clean sounding upward expansion. This increases the volume of signals over the threshold, giving your audio more dynamic range in a transparent way. Grow mode lets you increase the width of the selected frequencies using a psycho-acoustic precedence effect. Grow can be applied in a dynamic way meaning only the signal surpassing the threshold is widened. This along with the frequency selection gives you a new realm of movement to inject into your music.